The latest RED C Consumer Mood Monitor from January 2017 shows a significant decline in consumer outlook for the Irish economy, following the recent “hard Brexit” announcement by the UK Government. 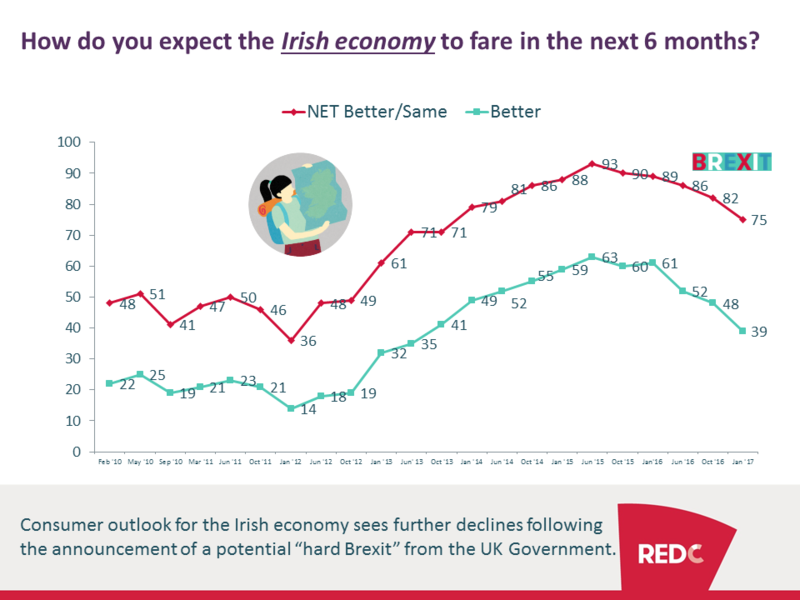 Less than 2 in 5 (39%) now believe the economy will improve in the next 6 months – this is down from 48% in October 2016. It is evident that the Brexit has impacted consumer confidence in Ireland, with 77% being worried that Brexit will have a negative impact on Ireland’s economy – this is up from 72% in October 2016. 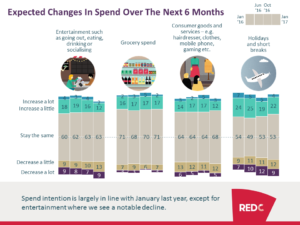 Spend intention for the next 6 months sees a decrease for all product categories, except holidays. Especially spend for entertainment/socialising is affected. 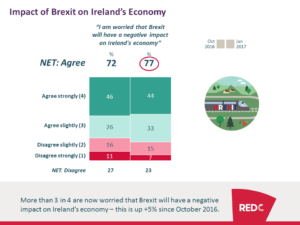 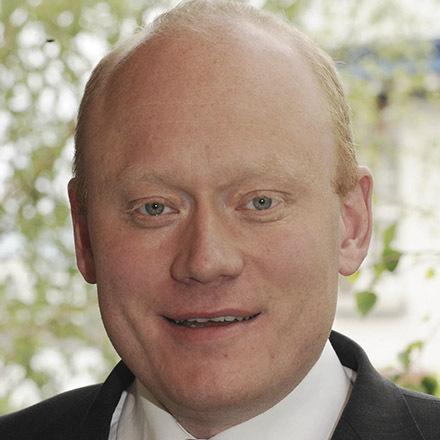 Furthermore, consumer spend in the Republic of Ireland is affected by the weaker British Pound with many consumers shopping more online directly from the UK or across the Border to Northern Ireland.